Throughout the year Love Luton is responsible for delivering several key events within the town. The events are diverse ranging from our World War One Centenary programme through to Summer in the Sun where St George’s square becomes a beach during the school summer holidays. 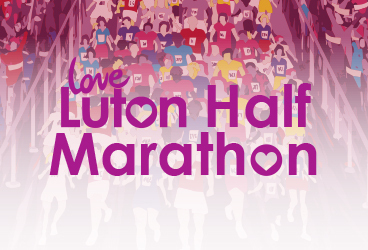 Recently the Love Luton Half Marathon incorporated a 10K run, adding to an event that now receives international interest. We showcase the achievements of local people and businesses at the prestigious Luton’s Best Awards held at Luton Hoo in November. Funded entirely by the contributions of our sponsors, these events provided for the people of Luton free of charge or heavily subsidised. For details about each of our events please select from the items below. If you are a business that would like to get involved with any of our events, please visit the Contact page. The 2019 Half Marathon & 10k is still to be announced. Check back regularly for updates. 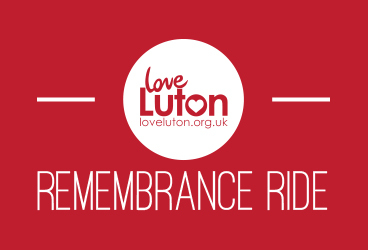 Love Luton’s Remembrance Ride raised over £25,000 for the Royal British Legion and Help for Heroes.